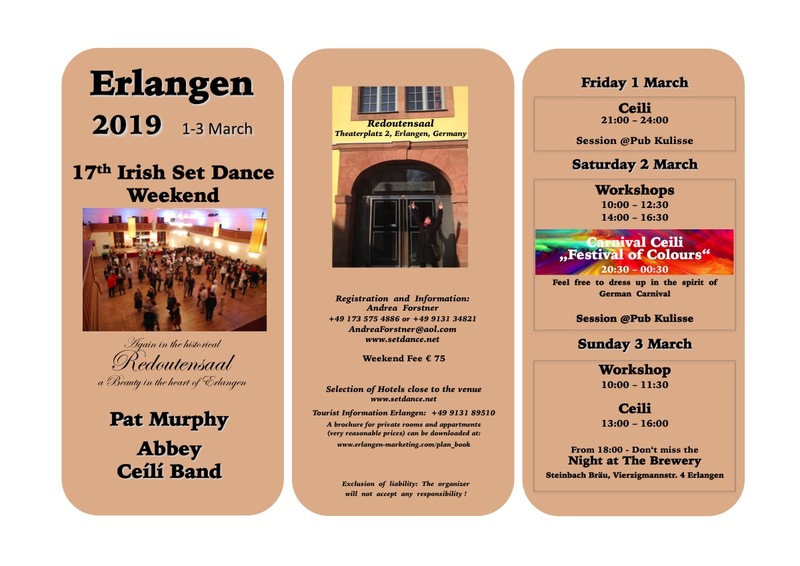 17th Erlangen Irish Set Dance Weekend 1-3 March 2019 in the historical Redoutensaal, a Beauty in the heart of Erlangen. Set Dance im Irish Pub: Heute in Strullendorf!! !